Intuition is quite simply the ability to know and to understand something without conscious reasoning or external validation. Intuition is often called the “inner voice” and through it you are able to tap into the guidance and knowing of your soul and subconscious. It's like a direct line in which your personality self can communicate and tap into the greater perspective of your higher self and soul. Developing your intuition can help you to capture your intuitive insights so that you can make better decisions, avoid pitfalls, tap into spiritual guidance, and to take action to improve your life. Developing intuition can help you to know your souls highest path and step into living in greater alignment with your authentic truth. With intention and awareness, you can increase and develop your intuition from wherever you are right now. While many people tend to feel that intuition is genetic, and you either have it from birth or not, the truth is that everyone is intuitive. Most people have simply been blocking out the voice of intuition for a long time. Consciously or unconsciously, not listening to intuition has been the unspoken intention of many. Intuition is a natural process, and it's not weird or hard to develop. Everyone has intuitive ability, and while some people have developed their intuition more, or are naturally more receptive to their inner voice, we're all on the same playing field. 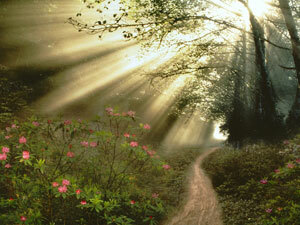 In other words, intuitive guidance is available to all. If you don't feel like you're very intuitive… Take a moment to shift your perspective. You are incredibly intuitive. If you're not yet experiencing this, your intuitive voice is simply being blocked, by layers of energy filtering out the voice of intuition from your awareness. Peel back the layers blocking your intuition to reveal this infinite source of guidance which is always available to you. Are you ready to increase your intuition? Set the intention! Remember that the universe responds to your thoughts, beliefs and intentions. Simply writing an affirmation, and declaring to the universe that you are intuitive, starts the process of your intuitive development. Once you set the intention to tune into and notice your intuition, here are some additional steps you can take to tap into the intuitive guidance available to you now. Tapping into intuition goes hand in hand with increasing your awareness. Meditation is a wonderful place to begin, as it helps you to quiet the loud voice of your mind, so that you can hear your inner voice of intuition. Time in nature is another great way to increase your awareness and thereby your intuition as time spent in nature has a natural calming and centering effect. Do you have a big decision to make, or maybe you're unsure about what to do next? Ask a question relating to your current situation, focus in on it, and then let it go. Next take a walk in nature, meditate under a tree, or just take some time to clear your mind and enjoy the natural world… Not worrying about your situation, just being fully present in the moment. Seemingly out of nowhere, an answer, intuitive nudge, or idea may come into your awareness. Nature has time and time again proven to be an intuition activator for me, so give it a try. Intuition appears in many forms. This is why increasing your awareness is so important, as you never know how your intuitive guidance will appear (though with practice and awareness you can learn the ways most common for you). One thing is certain through, intuition comes in response to your questions, and situations in your life. If you're wanting to increase your intuition. Start asking! These are just a few examples, but really, you can tune into anything with intuition… Ask, and then be aware, and remain open for the guidance to appear. Intuition may appear as a physical feeling in your gut, a line of dialogue you hear in your mind, a mental image of a scene or symbol, the awareness of subtle energy or the knowing of something just appearing in your mind, like you knew it all along. Take time every day to tune into your inner state of being, to simply listen, as this is invaluable in learning to trust your intuition. Open your heart and raise your vibration. As your heart opens, so does your intuition. As you release blockages, density, limiting beliefs, doubts and fears, your vibration naturally increases and your intuition naturally opens. Practice listening and tuning into your intuition, and know that intuition won't eliminate challenges, or hard times from your life completely. Intuition however can help you to make the best possible decisions, and can bring meaning, healing, and magic into your life. 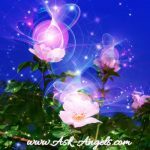 One of the best ways to increase your intuition is to raise your vibration… And of course, connecting with your angels can help you to do just this! Your angels are continually trying to connect with you and guide you through your intuition. If you would like to learn more about angel intuition click here and watch this free video I created for you, now! Developing your intuition comes down to quieting your mind, listening to your heart, and remaining present and aware in the moment. I would to improve my awareness, but everything you have sent me comes with a price. God knows I have no money to pay you rigjt now. I was hurt very badly at work and they took my job and health coverage from me, instead of taking care of me and seeing that I get well. So beside killing myself to get out of all this pain what can I do or better yet how can you help me to get better? Even you.have a price!. I have asked you befor and got nothing from you in the form of help.I don’t understand why God would charge me or anyone else for that matter. Which makes me feel that you are a scame like everyone one else. Another great way to develop intuition is to use crystals. Wearing a crystal such as amethyst, can greatly enhance your chances of being more intuitive. There are other stones too that also work, if you do a search on “crystals that increase intuition”…. you’ll find more stones. I am generally a very intuitive person if the process happens subconsciously ( then I have no doubts), but the moment I feel that I am being tested I have a problem. How can I change that?